Sky Lantern is the story of a man who finds a sky lantern at the end of his driveway, and on picking it up to put it in the bin notices a message written on it. The message is from someone called Steph and she has written it to her father about how much she misses him. Matt can’t help but think and reflect about how his own young daughters would feel if he were no longer with them, and it leads to him writing an open letter to Steph on his blog in the hope that one day she, or even his own daughters, might find the letter and be comforted. Matt’s open letter is very moving. He deliberately made it quite non-specific so that it would apply universally but he talks about how proud a father is of his daughter and how much he loved her. He gives life advice about finding those who love you and filling your life with them. He explains that he knows you miss your father and that you can’t replace him but that you have to keep moving forward. I was crying by this point in the book, my mum died a few years ago and it made me think of her because it’s the sort of letter that I know she would have written if she had had more time. Matt’s letter reminded me a little of Mary Schmich’s commencement speech (that was later turned into a song by Baz Luhrmann called Wear Sunscreen). It’s a life-affirming letter that everyone will be able to take something from even if not all of it relates to them. Matt’s letter ended up around the world, he received many letters from people who weren’t Steph but who appreciated the letter all the same and found comfort in it. He received many letters from women who believed they were the Steph who sent the lantern but even while Matt wasn’t sure they were the right Steph, he still wrote back and showed real kindness and compassion. Throughout this book, Matt learns lessons himself about not taking his loved ones for granted. He is obviously a lovely dad to his children, but as is the case with all of us, life gets busy and sometimes we brush off a loved one wanting a few minutes of our time. Matt’s book is a reminder to always tell the people we love that we love them. If I was to be at all critical it would be to say that at times this book does feel a little drawn out; I’m not sure that there was enough to make a full-length book out of this experience. Having said that, it is a very moving and life-affirming read and I’m sure it will offer great comfort to people who have been bereaved. I cried over a chapter where Matt wrote about loss and how we make sense of it and how our lives can never be the same. It’s the silly thing of still picking up the phone to call a loved one who has been gone for a while but in that moment our brains forget for an instant until the phone is in our hand. I did this so many times after my mum died so it resonated greatly for me. It is wonderful that a new friendship came from Matt finding the sky lantern, and that he helped not just one woman find solace but hundreds or even thousands of people who were comforted by reading his letter. This beautiful book really is a lesson to us all that showing a little more kindness to others can go a really long way. I rated this book 4 out of 5. I received this book from Howard Books via Net Galley in exchange for an honest review. 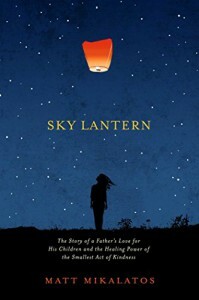 Sky Lantern is out today and available from Amazon. What Happens at Christmas is a gorgeous, feel-good novel that has some real depth to it. 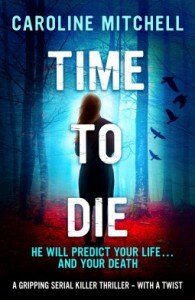 Holly Brice has recently found out that her estranged father has died and that she has inherited his cottage in a quaint little village in Dartmoor. Holly makes a trip to the remote village to clear the cottage out to get it ready for selling and it ends up being a real trip down memory lane for her. Holly also discovers that not only has she inherited her father’s home but also his lovely one-year-old labrador, named Stirling. Holly ends up on a real journey of discovery as she gets to know some of the locals in the village and also as she begins to clear her dad’s cottage out. She discovers that she may not have known the whole truth about her dad and starts to see him in a different light. I found some of the things Holly finds out about her dad incredibly moving. It was lovely to to see how Stirling was so in tune with Holly’s emotions and was always on hand to offer comfort. Stirling was the star of this book for me, he was such an affectionate dog and so well-behaved that it’s impossible not to fall in love with him. He was a character in his own right and I really loved how an animal could be written into the story in such a big way. Holly soon meets the desirable men in the village: Jack the handsome and lovely next-door neighbour, who is a bit mysterious; Justin, who is also a very attractive man but who has issues of his own to work though; and Howard who is lovely and just a little flirtatious in a harmless way. 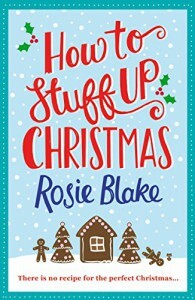 I love that this book was set in the few days leading up to Christmas, it really did make me feel festive. 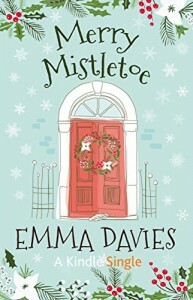 Often with Christmas novels they are set in the months or year leading up to Christmas but there is something really lovely about a novel where the whole book is set in the immediate run up to Christmas. This novel has everything you could possibly want in a Christmas story! 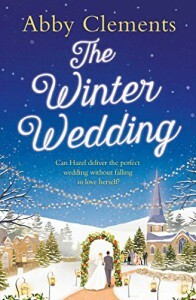 It’s set at Christmas, it’s in a gorgeous location, it’s heart-breaking but more so it’s heart-warming, it has romance, it has crackly log fires, and it has snow! I rate this book 8 out of 10 and recommend it to anyone who’s looking for a heart-warming Christmas novel. 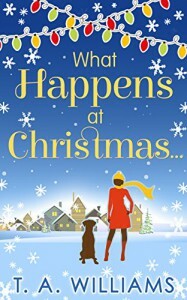 What Happens at Christmas is out now and available to buy from Amazon. I can never resist books that are in any way connected to Peter Pan, I’m just fascinated by Neverland and what it represents. So when I was offered the chance to review Wendy Darling, I couldn’t say yes fast enough! 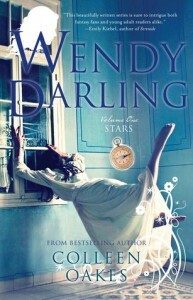 Wendy Darling is a re-telling of Peter Pan told from 16 year old Wendy’s perspective. John is Mr Darling’s favourite child and Wendy feels desperate to be noticed by her father, she tries so hard to see the star that John can see so easily but she struggles and the disappointment she feels from her father is palpable. Wendy spends as much time as she can visiting the local bookshop. She loves to read, but even more than that she loves to visit the bookseller’s son Booth. The two are growing closer but their romance seems to be doomed from the start as society dictates that Booth is just not an appropriate suitor so they meet in secret. One night Mr and Mrs Darling go out for the evening and something very strange happens at the house. It is really quite sinister and leaves the children feeling very shaken, until Peter Pan appears at the window and takes them all off on an adventure. I have to be honest and say I found some of the things that happened in Neverland a little long-winded and slow, I was initially more captivated by Wendy’s romance with Booth and was longing to see more of that, I didn’t want to be taken away from that storyline. Having said that, where the book keeps you hooked is with this much more overtly sinister version of Neverland. It was always possible to see the darkness in JM Barrie’s original story but it’s much more extreme in Oakes’ re-telling. Oakes takes the nightmarish elements to fantastic extremes and danger is everywhere, especially for Wendy. It’s about how nothing is as it seems, and the idealism of a perfect world is never going to be as you’d thought. Peter Pan has always felt a little creepy to me but in this version he is sociopathic. He appears very loving and kind one minute and the next his personality becomes very menacing, and actually often downright evil. I loved that Wendy was older in this re-telling as it gives a whole new dynamic to her and Peter’s relationship. There is an undeniable sexual chemistry from the beginning of the book, Wendy is drawn to him and cannot stop herself from staring at him and wanting to be closer to him. Peter ultimately uses this against her though and there are a couple of scenes later in the book that are very shocking and disturbing. The contrast between the rather innocent kissing with Booth and the way that Peter Pan treats Wendy really highlights the way that Neverland represents the desires of a teenage girl and her inability to fully comprehend how dangerous the world can be for someone still so naive and innocent. Wendy Darling is ultimately the story of an awakening, it’s about Wendy discovering her power as a young woman and how she can fight back against the things that imprison her. It’s about her discovering her longing to be a mother; the way Wendy takes to nurturing the lost boys is beautiful, she seems to have found her place with them and they adoringly look up to her wanting her to be their mother. I did very much appreciate how empowered Wendy is in this re-telling; she’s been taken from a character who is almost always portrayed as weak just because she’s just a girl to a young woman who can stand her ground, and who will speak up when she feels she needs to. It was fascinating to see the character of Wendy in this way. I do have a real bugbear with this book though and that is that even when a book is a part of a series I strongly feel that each book in the series should have some sort of ending. I know they have to lead into the next book so you will want to buy it but this novel just stops and ends with the title of the next book. I have to be honest and say that this really irritated me and I’m not sure that I would read the next one because I would always be wondering if I was ever going to get an ending. I love open endings, I enjoy being left with lots to think about but to just stop dead at the end of a scene and announce the next book is actually infuriating. There are aspects of this novel that are fascinating and compelling, but there are times when it falls a little flat and the lack of an ending is something I can’t ignore so I rate this novel 7 out of 10. I still highly recommend it, especially to people who are fascinated by Peter Pan, it’s a brilliant look at his character and it takes him to really sinister levels that always seem to be underlying his character in the original story. I received this book from SparkPress in exchange for an honest review. Wendy Darling is out now and available from Amazon. 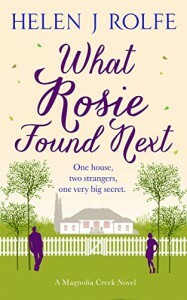 What Rosie Found Next is a gorgeous story about Rosie Stevens, a professional house sitter who hasn’t had the easiest life but is trying to move forward. She just wants to settle down and have some stability and security. Adam is Rosie’s long-term boyfriend but he’s very career-driven and, in the short term, this keeps preventing them from having the life that Rosie craves. Owen is the son of the home owners that Rosie is now house-sitting for. Owen is the opposite of Rosie, he leads a nomadic lifestyle with no home of his own and has no intentions of settling down with anyone ever. I loved the dynamic between Owen and Rosie! From the very beginning, when he arrives unannounced at his parents’ home where Rosie is housesitting, and immediately starts antagonising her it was apparent that there was an underlying chemistry between these two characters. So from the start I was very much looking forward to seeing how things developed between them. As the novel went on, I really did like how these two characters became closer, they got to be friends and started looking out for each other and forming a much deeper connection. 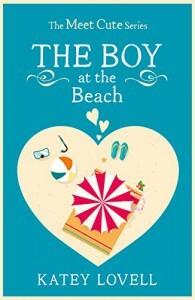 It wasn’t a straightforward boy meets girl novel and I very much enjoyed that it was different. The mystery element, regarding Owen’s family, that runs through much of this novel was really interesting. I couldn’t work out why Owen was so set on searching his parents’ house but it is apparent that whatever secret is being kept from him, it’s something that has been affecting him for a long time and has perhaps made him the way he is. It works well because Owen goes away to find out the truth about the past and in his time away from Rosie we get to see the development of his character through what he finds out. I adored Magnolia Creek, what a gorgeous setting; the descriptions of the town are such that you can really picture the place and I’d love to actually go visit! I loved Bella’s cafe, and Bella herself. She is the lynch-pin of the town bringing everyone together and lifting their worries for a little while with tea and freshly-baked scones. I really enjoyed this novel, it was different to what I had been expecting but I loved that parts of it surprised me. It has a real depth to it and I became so invested in these characters and was really willing them on to find happiness. It’s a really heart-warming read and I can’t wait to read more books by Helen J. Rolfe in the future! I rate this novel 8 out of 10. Thank you to Brook Cottage Books for sending me a copy of this book in exchange for an honest review. There is a giveaway on my blog with a chance to win a £10/$15 Amazon gift card so please check out my blog (RatherTooFondofbooks) for all the details! The Boy in the Bookshop is the first in a new series of short stories. I don’t normally buy single short stories but I just couldn’t resist giving this one a try; I’m utterly powerless to resist a book or short story set in a book shop and I’m so glad I picked this up, it’s gorgeous! This is a very short read and is absolutely perfect for a coffee break. Katey has packed so much into this story, it’s wonderful. The Beautiful Books bookshop sounds amazing and I really want to go there. 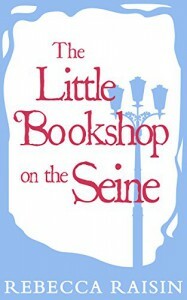 Jade works in the book shop, and the cute boy is a customer; it’s very succinctly written with all the detail you need to fall in love with the characters and the story itself. You’re left with such a warm, fuzzy feeling by the end of the story! This is such a fabulous meet cute, I love Katey’s writing style and I can’t wait to read more by her. In fact, I’ve just been to Amazon and bought the second one in the series, and pre-ordered the third! I’m hooked on these Meet Cute books! I rate this 10 out of 10. 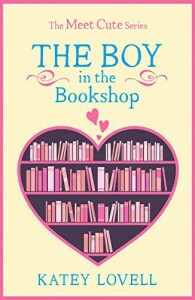 The Boy in the Bookshop is out now and available from Amazon. 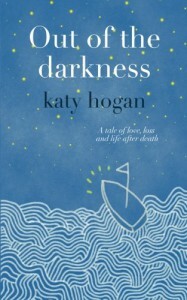 Katy Hogan has very kindly offered me a fabulous prize package so that I can run a giveaway. The giveaway is UK only this time. 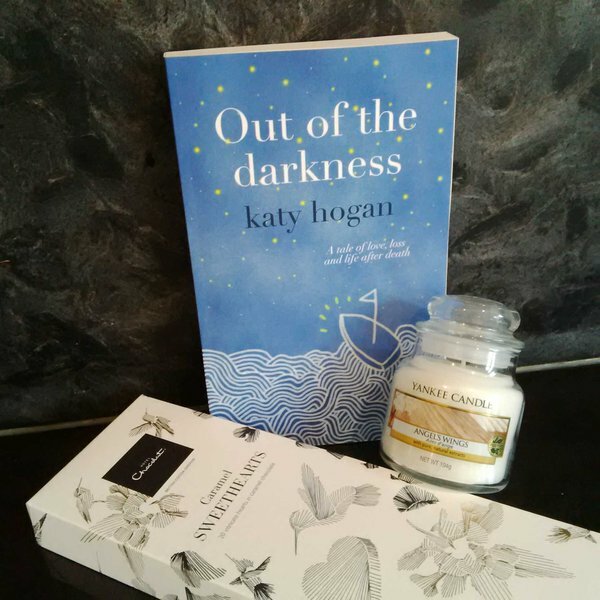 The prize is for one paperback copy of Out of the Darkness, a gorgeous Yankee Candle and a box of chocolates from Hotel Chocolat. I’m a child of the 80s so I grew up listening to my mum’s records but by the time I was old enough to buy music of my own vinyl was rapidly disappearing to be replaced by cassette tapes, and actually not long after that CDs began to appear in the shops. I still have such nostalgia for my mum’s records though. So when my husband started talking about getting a new sound system, it was a no brainer that we’d look for a turntable. Now we’re slowly building up quite a collection of records, and everywhere we go we keep an eye out for record stores. I love reading about record stores too so when I spotted The Record Store of the Mind on Net Galley recently, I simply had to request it! In the introduction, Rosenthal immediately evokes the feeling of being in a record store and the feeling you get when you inspire someone else to look through the crates of records. It’s a joy to read about how he took his children around record stores and flea markets looking for a gem. It’s also a wonderful thing to read about how many record stores are still going strong in America. There is a revival happening in the UK and it’s a great thing to see; new independent record stores are beginning to appear on the high streets once more and even the chain retailers are putting in vinyl sections once again. It makes your heart sing and one can only hope that vinyl sales continue to grow! Rosenthal then takes the reader, chapter by chapter, through his journey in music. He shares stories of musicians he’s met and worked with, and records he’s bought and loved. He brings to our attention a mix of well-known musicians and some you many not know so much about. I’ll be honest and admit that I hadn’t heard of many of the musicians in this book but I very much enjoyed discovering them and will be seeking out some of their music next time I’m in a record store. The sheer joy and passion that Rosenthal has for music and for the musicians he has known just radiates from the page, which makes this book such an engaging read. In amongst the chapters devoted to musicians themselves there are chapters that have a wider subject matters such as one about gigs, one devoted to the period between 1989-1997. These chapters were perhaps a little more of interest as I felt my own knowledge and reference points helped my understanding and enjoyment. Nevertheless, the book as a whole is a joy to read and has definitely widened my interest in music even further. This book is a reflection of thirty years of work in the music industry. This year Rosenthal celebrated the tenth anniversary of his own label Tompkins Square. His book is partly a memoir and partly a critical look over the music industry. It’s also part love letter to his own treasured collection of records, as throughout the book he often refers back to his own private collection. It was heartbreaking to read of how he lost part of his record collection and music memorabilia in hurricane Sandy. I loved the Of Musical Interest chapter, and the Listen Up list and the Tompkins Square Discography at the end of this book, I’m definitely going to be looking out for some of the records referred to in this book. I’m always interested to try new music and find new singers and bands to listen to. This is a book that can be used as a wonderful reference after you’ve read it, I know it’s one that I will come back to again and again. This is a book for anyone who loves, or has ever loved, listening to music on vinyl. I rated it 8 out of 10 and highly recommend it. I received this book from Tompkins Square Books via Net Galley in exchange for an honest review. 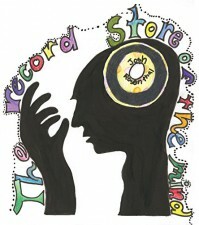 The Record Store of the Mind is out today and available from Amazon! This novel begins so beautifully. I adore how Toni met Gretchen at the dance and how they just knew they were going to be together. I loved how it was purely about two people discovering a mutual attraction without the novel being too specific about what gender or sexual orientation they were. It was gorgeous and I couldn’t wait to read more! However, from the point when Toni and Gretchen leave for University it felt like this novel became less of a journey of discovery for these two characters and became more of a platform to educate the reader on issues surrounding gender identity. Toni prefers to be referred to in a gender neutral way, so no he or she. The problem is that when a novel is written like this it is incredibly jarring to read; to have a person’s name repeated two or three times in a single sentence, and then repeatedly through entire paragraphs means it just doesn’t flow at all well and I found it brought me out of the story too much. 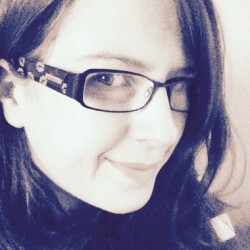 I absolutely understand that Talley was putting the reader right into Toni’s place and getting us to see the world through this character’s eyes, it’s about making us see and understand how hard it is to be gender neutral and I commend the attempt, but it prevented me from getting into the book so it was problematic. Toni very quickly becomes one dimensional. All the thoughts and conversations Toni has throughout the book just felt like like I was being lectured to, it was all very dry and there was very little emotion, which made it hard to see Toni as any more than a platform for awareness of gender identity issues. This really did feel like less of a novel and more of a statement being made. I don’t think we really learnt anything about Toni other than the gender identity struggles, and then the struggles seemed to be explained over and over again without any progression. 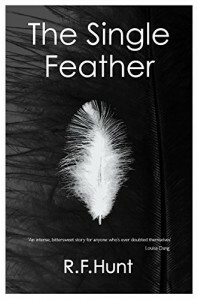 I know the issues in this book are incredibly important but a novel still needs to maintain a level of entertainment and to evoke feelings in the reader, and the characters still need to be fleshed out otherwise it stops the reader making any kind of connection with the book. For me, it doesn’t matter what a character in a book is experiencing, it doesn’t have to be something I have any experience of but the character has to be three dimensional otherwise it just becomes words on a page; to get really engrossed in a novel the characters have to become real to a reader. I did find more to connect with in Gretchen due to her character being a little more rounded. We see more of Gretchen relating to her new friends about a range of things, which gives her an added dimension that Toni’s character never really has. The beginning of the book when Toni and Gretchen first meet, and the point when they finally figure out their relationship are about the only times in the novel when there was a lot of emotion and feelings and therefore more depth to Toni’s character, which made Toni, just for that brief time, seem real. I really wish we’d seen much more of this emotional side of Toni throughout the rest of the novel, it would have made the character feel like a person rather than a mouthpiece through which a point could be made. I can appreciate what the author was trying to do in this novel but for me it just doesn’t achieve what it seems it meant to achieve. 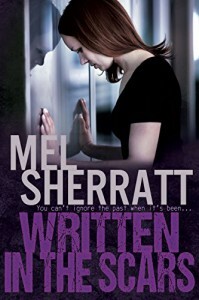 I received a copy of this book from Mira Ink via Net Galley in exchange for an honest review. 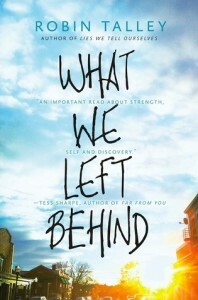 What We Left Behind is out now and available on Amazon.